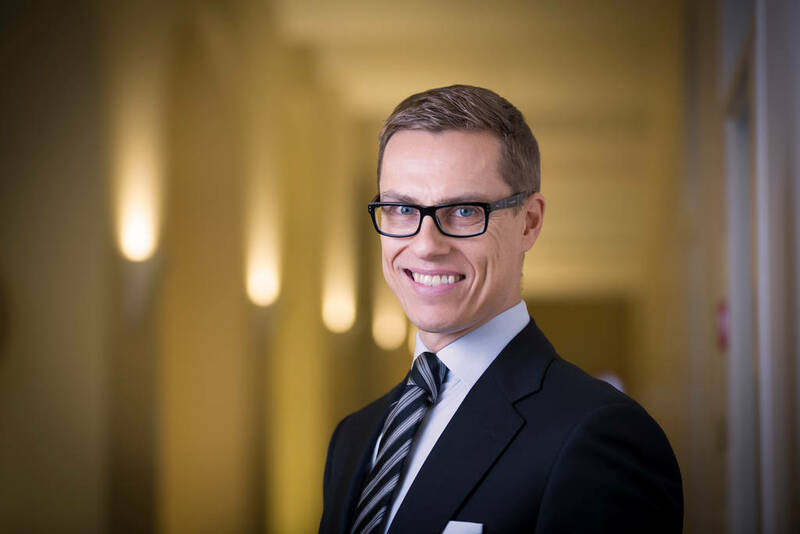 Home › Uncategorized › A bad month of July for Alexander Stubb, Finland’s Minister of Finance, and better years to come? A bad month of July for Alexander Stubb, Finland’s Minister of Finance, and better years to come? Alexander Stubb has had a bad month of July, with a number of negative media coverage following his handling of the Greek bailout, following a bad year since June 2014 But he is more the victim of the events and of his visibility than really responsible of this situation, even if he could perhaps learn to be less straightforward and talkative. If you listen to the French Minister of Finances, Michel Sapin, as reported in the French Magazine “le Canard Enchaîné”, Alexander Stubb was a very unhappy man when he was in Brussels participating in the 13th Euro-group last week. He went on in his speeches repeating aggressively that he had to interrupt his holidays in Sicily to attend the European Summit, and that his family life was going to suffer from it. I am sure that Mr. Tsipras, who was the main target of his aggressiveness, has not taken it too personally, and that he was not feeling too guilty. Or maybe next time Alexander Stubb, who knows that the EU institutions are fully functioning in July and practically stopped in August will slightly change his holidays towards the end of July. Or he will choose to take holidays in Greece, so the link with Mr Tsipras will be more direct. It is not the only time that Alexander Stubb is reported by the media as not behaving as the typical Finnish polite politician in front of his colleagues in Brussels. YLE reported on the 13th of July that according to the Financial Times, the atmosphere over the week-end in Brussels was so heated that “Finnish Finance Minister Alexander Stubb … lashed out at the Greeks for being unable to make reforms for the last 50 years”! One could remark that Mr. Tsipras in front of him is a young politician recently arrived in power and trying to change the Greek attitude, and that, after the junta who was in power from 1967 to 1974, it was the right side (allied in Brussels in the European Parliament with Stubb’s party) who were responsible of the failures, definitely not Mr. Tsipras and his party. Maybe Mr. Stubb was not very favourable to a country managed by an equivalent of the Left Alliance (imagine the possible catastrophe for Kokoomus if Mr. Tsipras would be successful with a left-side policy…), or maybe he was really unhappy about his missed holidays. Then he has been attacked in the Finnish press for having said that he has never had instructions to push Greece outside of the Euro-zone, when later disclosure of Finnish Parliament’s documents have proven the opposite. All these elements are not showing a very positive image of the Finnish Finance Minister, who in addition is seen as the one who made Kokoomus go down from 21,1 % of the votes in the 2011 Parliamentary elections to 15,8 % of the votes in 2015. As a consequence, he stepped down from his position as Prime Minister to that position of Minister of Finance, abandoned to him by the leader of the True Finns, Timo Soini, who was supposed to take it. This may appear as a humiliation, and could explain also his recent outburst in Brussels. There seems to be in the Finnish media a tendency for Stubb’s bashing, with a number of negative articles, and very often even pictures showing him quite negatively (Look here, here, here and here if you are not convinced). If you consider his biography, his personality , and these last 12 months, it is not really deserved. A first element is the lost elections in 2015, that may provoke his loss by pushing his party to get rid of him at the first occasion. His predecessor, Jyrki Katainen, now in Brussels as the Finnish Commissioner, has let the party in a bad situation in the polls, and when Stubb took the leadership, he was not able to change Katainen’s trend downwards. In addition, Katainen has made a large coalition, which was almost non manageable, and became totally unmanageable when the leaders of the parties who had signed the government programme had either left the government (for the Greens and the Left Alliance), or been changed following some internal disputes in their party (Jutta Urpilainen for the Social Democrats). In 9 months, Stubb has not been able to build on these ruins, but who would have been? Concerning Brussels’ recent situation about the Greek bailout, it can be considered that Stubb has done his best internally and externally. His gesticulations making Finland one of the hardest countries with Greece has given some space for his ally Timo Soini, leader of the True Finns, who declared during the elections’ campaign that he did not want any new agreement on Greece, or any new financial risk for Finland. In some way, Stubb has done the impossible: be the toughest of the toughest, and make the True Finns agree finally on a deal with Greece! One can disagree with the content of the agreement, or about the reputation of Finland in Europe. But Stubb has really produced a remarkable show, and finally an acceptable result which is the best help he could give to Juha Sipilä to keep the government united. It should be also remarked that from this point of view, Juha Sipilä, the Prime Minister, did not behave as a leader in Brussels, but Stubb did. More generally, Stubb is an interesting and brilliant person, who has a very specific profile in Finland. He is coming from a bilingual background (father native Swedish speaker,mother a native Finnish speaker). According to Wikipedia, he has graduated in 1986 from Mainland High School in Daytona Beach, Florida and, two years later, graduated from the Gymnasiet Lärkan in Helsinki. After completing his military service, he went to Furman University in South Carolina, studied political science and graduated with a Bachelor of Arts degree in 1993. The following year he studied French and obtained a Diploma in French Language and Civilisation from the Sorbonne in Paris. And he speaks fluently five languages: Swedish, Finnish, English, French and German. In addition to his studies in the US, he has an international and European profile, with a Master of Arts in European Affairs from the College of Europe, Belgium, and in 1999, not so long ago, a PhD in the International Relations Department at the prestigious London School of Economics and Political Science, where he was qualified as outstanding. He has worked as a researcher in Finland’s representation to the European Union in Brussels, and a member of the Finnish government’s delegation to the intergovernmental negotiations for the Treaty of Nice. In 2000, he became a professor at the College of Europe and an adviser to the President of the European Commission Romano Prodi. He has lived in Belgium with his (international) family before coming back to Finland. From the political point of view, he has an real governmental experience, contrary to the Prime Minister Juha Sipilä and the leaders of the True Finns and Minister of Foreign Affairs Timo Soini, who are complete beginners. He was elected for the Kokoomus in the election to the European Parliament in 2004, was Minister for Foreign Affairs from 2008 to 2011, Minister for European Affairs and Foreign Trade from 2011 to 2014 and Prime Minister from 2014 to 2015. In addition, he does not lack empathy, with in particular his actions for disabled people. When he sees a good cause, he is able to commit himself to really support it. Considering these positive elements, and the fact that people who have met him consider him as a likeable person (I personally remember a nice beer moment in a Brussels’ café some years ago), what is wrong? A thorough analysis with him would probably necessary, but I have heard a number of explanations. One thing is that he has not been really lucky, and his timing for taking the party was not the best. Then he has shown a permanent optimism, instead of choosing the more Finnish path of insisting on the difficulties of the party and the ongoing strong efforts needed in the party and in Finland. He has probably difficulties to limit his communication, which gives an impression, certainly false, of being superficial, and does not seem able to listen to his advisers, who may be more careful than him. Or maybe he is lacking solid advisers, and his recruitment in the last months of the campaign of Juhana Vartiainen, an excellent economist, has happened too late to produce some results, except Vartiainen’s election to the Parliament. Also, some of his party’s members may have been unhappy about his initial popularity, as he is not a hard-core right-wing liberal and Kokoomus member, having clearly integrated the social democratic values of the Finnish culture, and they may have had a negative influence on his reputation. And more generally, as a number of people interviewed have said informally, he his not thinking and behaving like a Finnish politician, whatever that means. In all cases, it will be interesting to follow his career in the next years in this new government and in his party, and see if he is able to inverse the trend, which he should be able to do, considering his background.